Discuss the history of the suspended ceiling and describe recent innovative products that improve occupant comfort by providing both sound absorption and sound blocking in one ceiling assembly. Explain recent advances in hand-drying technology, and review new product category rules that the industry has developed to improve the verifiability and transparency of product performance evaluations for all manufacturers. Define the latest innovations in high-performance glass, and explain new digital tools for comparing, optimizing, and selecting glass products. Describe the health, comfort, energy, security, and durability benefits of opening glass walls, both when they are open and, equally important, when they are closed. Identify the sustainability, durability, and green attributes of terrazzo, the original recycled material. The first issue of Architectural Record—then a quarterly—was published in 1891. 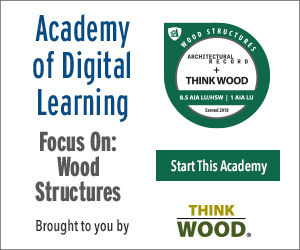 Its goal was to provide a forum to: observe and report on trends and events in the design and construction of buildings; reflect and critique these trends; and, in the process, inform and educate architects as a means to advance the profession and practice of architecture. The inaugural issue included a long essay on the Romanesque Revival in New York City, New York, which featured the recently completed Market and Fulton National Bank Building pictured here. The building is firmly representative of its era, incorporating the building technologies and products that were commonly available at the time. This course will briefly trace the evolution of five of these technologies over the 125 years since the facility opened to the public: suspended ceilings; hand-drying systems; window glass; opening glass walls; and terrazzo. The course will look at where these technologies stood in 1891, how they have changed and developed over the intervening years, and what innovations are currently driving each market segment forward. 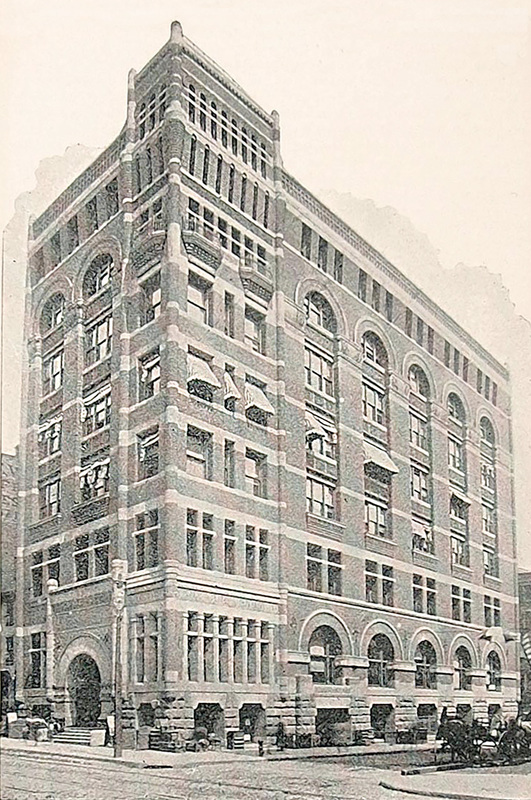 The Market and Fulton National Bank Building was featured in the very first edition of Architectural Record in 1891. The critic of the time was a bit ambiguous, noting that: “In spite of what we must hold to be a grave error in the composition, the building bears so much evidence of thought and feeling that it is much more interesting than many a building that is more successful.” Whatever its aesthetic merit, the building was representative of the building products, technologies, and systems of its time. As long as we’ve had buildings, we’ve had ceilings—some as simple as the underside of the floor or roof, others as elaborate as the coffered ceiling of the Pantheon, the frescoes of the Sistine Chapel, or the murals in the main reading room of the Library of Congress. And historically, once a ceiling was installed—no matter the shape, material, or decoration—it stayed in place. There was no reason to move or adjust it, and there was nothing above it that needed to be moved or adjusted either. That all began to change in the late 1800s, when indoor plumbing, heating systems, and electricity became more common in buildings. At the turn of the century, these systems were typically run through or along walls and floors, and the ceiling remained relatively untouched. This would certainly have been the case for the Market and Fulton National Bank, which would have used plaster, mosaic, tile, or perhaps tin for its ceilings. But early in the 20th century, as these new systems continued to multiply and evolve, it became clear that a fresh approach was needed to deal with them—an approach that both concealed these systems for aesthetic reasons, and provided access to them for maintenance and repair. The suspended ceiling was born. The first patent for a suspended ceiling was filed on May 28, 1919 for a system that was built using interlocking tiles. The only way to access the plenum space above these tiles—where many of the new systems were now housed—was to start at one edge of the ceiling, or at a designated “key tile,” and then remove adjacent tiles, one at a time, until the desired place to access the plenum was reached. In spite of the time and cost of this approach, it remained the dominant suspended ceiling system for close to 40 years with expanded performance attributes, such as sound control and fire resistance. In 1958, the patent for an accessible suspended ceiling was filed. The new system allowed access to the plenum from any point and, with many variations and updates, remains the system we use today. The new system worked well. It was inexpensive to install and maintain, provided ready access to the plenum and endless flexibility for reconfiguring the space below, and suited the sleek, modern look favored by mid-century architects. That’s why we still see so many suspended ceilings today. But changing aesthetic aspirations, combined with increasingly challenging performance requirements, have been driving significant innovation across the ceiling industry in recent years. The monolithic look is still highly popular, and has been expanded through an evolution of innovative installation and configuration choices from staggered panels to completely concealed suspension systems that still allow access to the ceiling plenum and provide architects with virtually limitless options for reimagining the “fifth wall” of a space. At the same time, ceiling systems are now capable of integrating a range of additional components and systems—from light fixtures to data management systems to trim and transition products—that make it easier to specify complete ceiling solutions that can offer an integrated visual and save a project time and money. Parallel to these developments, there has also been rapid change in the performance characteristics of ceiling systems, especially in the realms of both acoustics and sustainability. The net result is a new era for the suspended ceiling, almost 100 hundred years after the first patent was filed. The centerpiece of the Westfield Santa Anita revitalization in Arcadia, California, was the sophisticated Center Court, intended to serve as a meeting place for the entire mall. The architect wanted to include an architectural element that would help bring the ceiling closer to the floor, while still allowing transparency to the clerestory windows in the existing ceiling. The solution was an elegant, custom baffle ceiling system—developed in consultation with the manufacturer—installed on each side of the Center Court. Noise can impede concentration, healing, and learning. 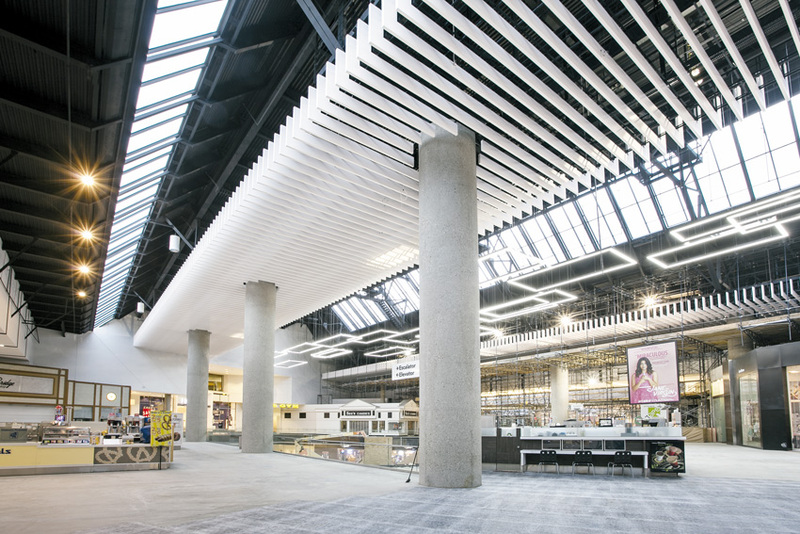 Total Acoustics™ ceilings feature the ideal combination of both sound absorption (NRC) and sound blocking (CAC)—complete noise control and design flexibility for every space. Rated good, better, best so you can easily choose the ceiling that’s right for your spaces. XLERATOR® has new enhanced standard features for adjusting sound, speed, and heat. Customize even further with the most options and accessories in the industry, featuring HEPA filtration and custom covers available in any color or with digital images to design the best hand-drying solution for any restroom environment. Guardian CrystalBlue™ glass can be combined with many SunGuard® low-e products, giving architects a range of energy performances along with high visible light transmission in an in-demand, soft blue color. CrystalBlue glass is available coated and uncoated at 6-millimeter thickness in a variety of sizes. Terrazzo fits any design plan from elegant simplicity to complex art patterns. With an unlimited color palette, varied aggregate choices, and state-of-the-art water-jet strip cutting, terrazzo is a designer’s dream. Terrazzo’s antimicrobial, durable, sustainable, and easy-to-maintain surface makes it the premium choice in flooring.